Mauritius has one of the lowest tax regimes in the world. Both corporate and individual income is taxed at 15%. The island boasts an extensive network of double tax treaties and offers major incentives to offshore companies resident in Mauritius for tax purposes. Global Business Licence (GBC) company pay an annual licence fee of USD 1,750 and a one-off licence application fee of USD 500 to the FSC and USD 250 on incorporation and USD 325 annually to the Registrar of Companies. Global Business Licence (GBC) Companies are resident in Mauritius for tax purposes and are not subject to capital gains taxation and there are no withholding taxes on the payment of dividends, interest or royalties from Companies of the same status. There are no stamp duties or capital taxes. Global Business Licence (GBC) companies are liable to taxes at a rate of 15%. Provided that the Global Business Licence (GBC) company owns at least 5% of an underlying company, credit will be available on foreign tax paid on the income out of which the dividend was paid (“underlying foreign tax credit”). When a company not resident in Mauritius, which pays a dividend has itself received a dividend from another company not resident in Mauritius (a “secondary dividend”) of which it owns either directly or indirectly at least 5% of the share capital, such dividend will be allowable as a foreign tax credit and an underlying foreign tax credit will also be available. Interest and royalty payments paid by Global Business Licence companies are fully tax deductible in Mauritius. Tax sparing credits are available – Under this regime the effective rate of taxation in Mauritius can be reduced as a long stop provision exists whereby Global Business Licence companies may elect not to provide written evidence to the Commissioner showing the amount of foreign tax charged and enjoy deemed taxation at 80% of the normal rate of 15%, i.e. 12%. Thus, use of this long stop provision in isolation would reduce the effective rate of taxation in Mauritius from 15% to 3%. Malta, Monaco, Mozambique, Namibia, Nepal, Oman, Pakistan, People’s Republic of Bangladesh, People’s Republic of China, Rwanda, Senegal, Seychelles, Singapore, Sri Lanka, South Africa, State of Qatar, Swaziland, Sweden, Thailand, Tunisia, Uganda, United Arab Emirates, United Kingdom, Zambia and Zimbabwe. Mauritius has focused the development of its Global Business centre on the use of its growing network of double taxation treaties for structuring investment abroad. 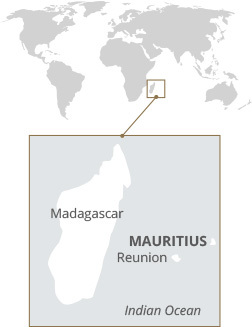 So far Mauritius has ratified over forty treaties and is party to a series of treaties under negotiation. The treaties currently in force are with Barbados, Belgium, Botswania, Croatia, Cyprus, France, Germany, India, Italy, Kuwait, Lesotho, Luxembourg, Madagascar, Malaysia, Mozambique, Namibia, Nepal, Oman, Pakistan, People’s Republic of China, Rwanda, Senegal, Seychelles, Singapore, South Africa, Sri Lanka, Swaziland, Sweden, Thailand, Uganda, United Arab Emirates, United Kingdom and Zimbabwe. Tax treaty benefits are only available to resident entities or persons. Accordingly, a resident entity must be liable to tax in Mauritius under its laws by reason of its domicile, residence or criterion of a similar nature. Mauritius provides a wide range of resident entities and hybrid structures including the Global Business Company, the Trust and the Société. A foreign company including the Global Business Company may benefit from the tax treaty network. It is also possible for Mauritian branch of a foreign company to access the tax treaties by satisfying the conditions of residence. These entities if wishing to avail of the benefits of a tax treaty must obtain a Tax Residence Certificate issued by the Mauritius Revenue Authority. If a resident of Mauritius derives income from a foreign country that has not concluded a tax treaty with Mauritius and foreign income tax is paid on the income, that tax may be credited against Mauritian income tax. The credit is limited on a source-by-source basis to the lesser of the foreign tax paid on the income concerned and the Mauritian income tax payable on the same income. In the case of foreign source dividends, no credit relief if granted for foreign corporate income tax borne on the profits out of which the dividends are paid (underlying tax). Expatriates employed in Mauritius are subject to the same regulations as local taxpayers and are assessed for income tax on income earned in Mauritius. Certain allowances and deductions cannot be claimed by expatriates in an income year during which they are not considered to be residents of Mauritius.